The official iOS 12 is now available, which delivers a long list of changes such as performance enhancements, and new features for all supported iOS devices. However, there are still bugs and performance issues that many iPhone/iPad users have faced, not listed on the changelog. The list includes fast battery drain, Wi-Fi issues, Bluetooth problems, and more. 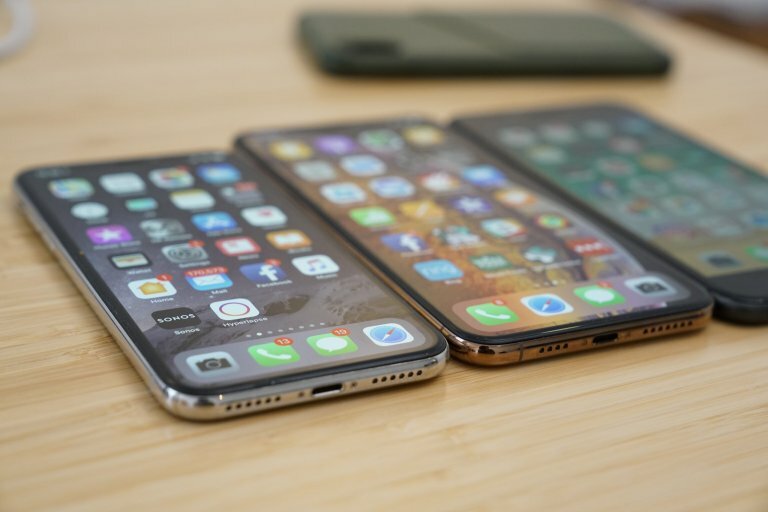 Some of iOS 12 problems requires a fix from Apple, but others can be fixed with ease with taking your phone to an Apple Repair Center. In this post, we’ll walk you through fixes for the most common problems in iOS version. If you’re dealing with one of the following issues listed below, you should try our solutions first before connecting with customer service or taking your device to a store. If the iOS 12 download or installation gets stuck on your device, there’s an easy fix for the problem. If you cannot download the latest iOS version on your device, then you should perform a hard reset to fix the issue. In case you are using an older model (iPhone 6S Plus, iPad and lower models), simply hold down both Power + Home buttons until you see the Apple logo to hard reset your iPhone. For iPhone 7/7 plus, simply hold the Volume Down + Power buttons. For iPhone 8/8 Plus/ X model, press Volume Up button and quickly release, then do the same with Volume Down buttons, and finally, hold the Power button for 10 seconds to hard reset your iPhone. If you’re dealing with long download times, you should wait for a few minutes and start from the scratch again or check your internet connection. Your router might be the root of the problem. Bluetooth problems can pop up at any time no matter what iOS version is running on your phone. If you cannot connect your iPhone/iPad to a Bluetooth device, here are a few solutions that also worked well with previous iOS versions. First, you should forget the Bluetooth connection on your iPhone/iPad. To so do, go to Settings > Bluetooth > choose the current connection and tap on “i” icon. Next, tap on Forget this Device and try reconnecting again. If this method does not help you, you should then Reset Network Settings on your iPhone/iPad. To do so, go to Settings > General > Reset > Reset Network Settings. The process will take a while and your phone will forget the paired Bluetooth devices. Your known Wi-Fi networks will also be removed, so make sure your passwords are handy. You can also try resetting your device’s settings back to the factory defaults by heading to Settings > General > Reset > Reset All Settings. If your iPhone/iPad deals with slow network speeds or dropped connections after the iOS 12 update, here are a few things you should try. First, you need to investigate your connection. If you are using your home Wi-Fi network, unplug the router for a couple of minutes and then plug it back in. 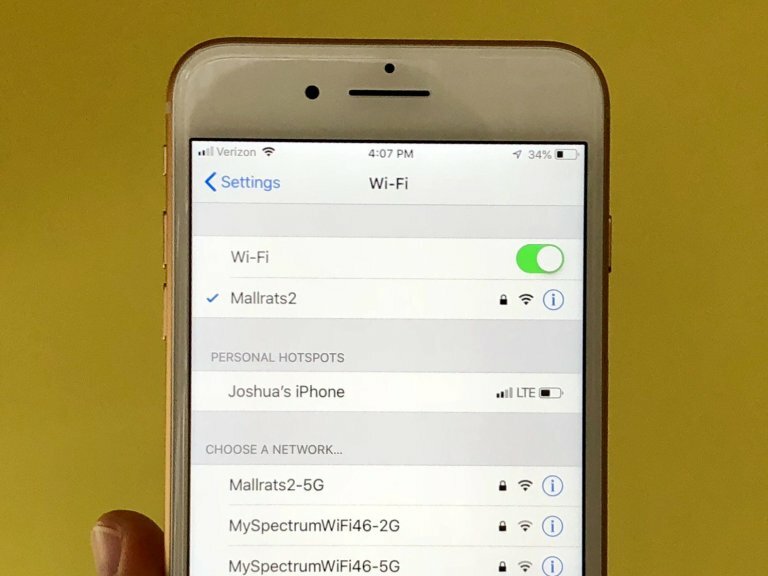 If you are not able to access the router your phone is connected to, then you can go into your device’s settings to try a few solutions. First, forget the Wi-Fi network that you are facing the problem. Go to Settings > Wi-Fi > choose your connection by taping on “i” icon > Forget this Network. Your device will forget the Wi-Fi password, so you have it in hand. If that cannot help your connection issue, then you can try resetting your network settings by going to Settings > General > Reset > Reset Network Settings. The process will cause your iPhone/iPad to forget Wi-Fi passwords, so make sure you have it handy. If none of the above methods help, you can then head to Apple’s guide to Wi-Fi problems. 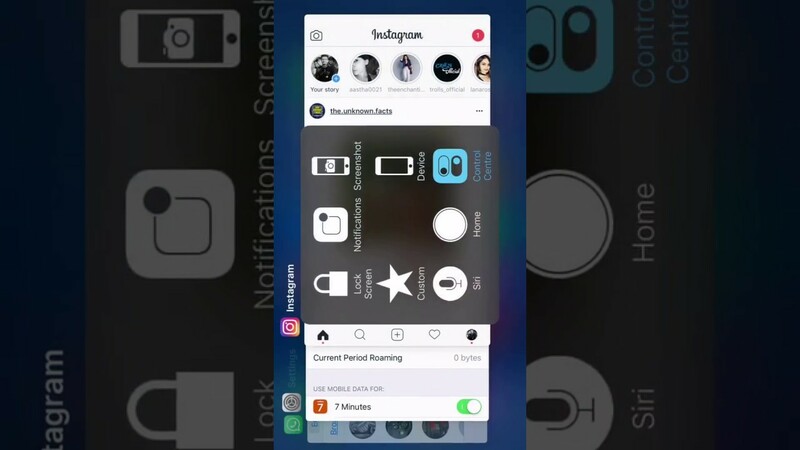 Many iPhone/iPad have complained that their device got stuck in Landscape mode when they tried moving the screen back into the portrait mode. Since it’s a common problem, so can fix it in seconds. The first thing you should do is locking and unlocking your device. If it does not help to fix the screen out of the landscape, you can restart your iPhone/iPad. Another solution is to switch Reduce Motion off and then check if that alleviates the issues. To do this, go to Settings > General > Accessibility > toggle Reduce Motion off. You can always toggle it back on. If the Touch ID fingerprint sensor suddenly on your iPhone/iPad stops working, you first need to ensure that there isn’t any dirt or sweat staying on the Touch ID sensor. You’ll also have to make sure that there is not any oil on your hands since it causes the sensor to misread your fingerprints. If none of those helps you, you should retrain your fingerprints. To do this, go to Settings > Touch ID & Passcode > enter the Passcode when prompted. Next, tap on each fingerprint and choose Delete Fingerprint. After that, tap on Add a Fingerprint to re-train your Touch ID. If your iPhone/iPad starts randomly rebooting after iOS 12 update, here are a few fixes you can try before bringing your phone to Apple Repair Center. First, restart your device. Turning off your device in a while could fix the problem. If you still see the random reboot issue, another thing to do is updating all your applications. Launch the App Store and update all your applications. If an app on your iPhone/iPad is causing the problem after the iOS 12 update, you can try doing a few things on your own before contacting with the developer. First, try restarting your device. After the reboot, if that the app’s still acting wrong, you can check for an update in the App Store. Developers are releasing their app updates for iOS 12, so the latest version could fix the problem. You can delete the app and install it again. This has worked for many iOS users in the past. If you are not still able to resolve the app problem, the last resort is contacting the app’s developer to get solutions for the issue. If it does, it needs a manual fix or an ETA on an update. These are the most common problems on iOS 12 version as well as solutions to fix them. If you face other issues on your iOS 12 iPhone/iPad, let’s know in the comment below. We’ll find out solutions to help you.